In my approach of the Gardens, I like to find the humanity of the many popes, who created this oasis of peace as a counterweight for the pressure of their office. A bit of research and I found little stories that I weaved into the garden, often lines of Pasquino, one of the talking statues of Rome, who told the government what the people in the streets were thinking. I hope you enjoy it. In Roman time this area was outside the city, some heights were suitable to quarry clay, and some of them grow grapes. The lower part was often inundated by the flooding of the Tiber, and in the summer reduced to swamps full with mosquitos. On the hill, Agrippina the Younger (mother of Nero), had a villa. Caligula, her brother created a small circus beneath. This one was enlarged by Nero, and the obelisk we have at Saint Peter’s Square is coming from the circus of Nero. Outside, at the beginning of the Via Cornelia was the cemetery were Saint Peter got buried. In the 2nd century, a little shrine was built over the tomb of Peter: the Trofeo di Gaio. A modest burial on which, a hundred years after the martyrdom of the Apostle, a small funerary aedicule was commemorated by the presbyter Gaius at the end of the second century, as the historian Eusebius of Caesarea (Ecclesiastical History, 2, 25, 6-) 7 stated. Entering in the gardens on the Viale dello Sport, in distance we see the Monte Mario. Dante Alighieri described the view of it in the 18th Canto of the Hell. When people did the pilgrimage from Canterbury to Rome, from the Monte Mario they would have their first view on the Holy City and the Saint Peter’s Basilica. Today the hill is hosting the mast of the Vatican Radio. Saint Peter’s fane, on the other toward the mount. In those gardens Pope Nicholas III had a fruit orchard, a planned garden with large trees (viridarium), a lawn with fountain (pratellum), and the gate: Porta Viridaria. Outside that gate under Nicholas IV (12((-1292), his doctor, Simon of Genoa created a space for medical plants. Simon of Genoa was maybe the first scientific botanist, translating arabic works in latin: his work, Clavis sanationis, (the Key of Healing) could be considered a medical dictionary rather than simply a glossary. The work consists of 6,500 entries in alphabetical order and is substantiated by Simon’s own comments. Simon mainly uses two terms to signify a medicament: farmakon and medicamen. 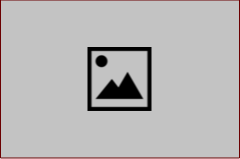 Farmakon is a complex medicament, usually made up of various ingredients: a compound drug. However, when he refers to drugs, he generally chooses to use the current Latin term medicamen, indicating either a healing substance, a remedy, or an antidote. More of this in the last chapter about medical herbs in the Vatican. 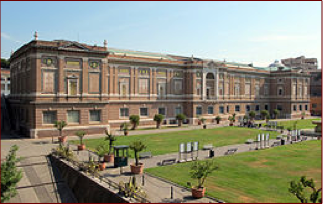 On the right hand side we see the Belvedere Palace of Innocent VIII, (picture) built in 1484 and used as a kind of summer-residence inside the compound of the Vatican until 1582, when the popes moved to the Quirinal Palace. In the tower is the famous staircase of Bramante, but more about it in the chapter of the Necropolis of the Via Triumphalis of the Vatican. In 1772 it was transformed in the Octagonal courtyard, where is held the famous Laocoon (1506) and the Apollo del Belvedere. Before we really enter the Vatican gardens we find a piece of the Berlin wall. It was a gift from the Italian Marco Piccininni to the Vatican in 1994. Mr. Piccininni acquired this piece of wall in an auction of wall segments in Monte Carlo 1990. The wall segments show those part of Sanct-Michaels-church from Berlin as a painting, which were hidden through the wall. The segments were originally part of the wall at Waldemarstreet, located on Waldemarbridge. The illusionary painting ("Mauerdurchblick") on the segments was made 1986 by Yadegar Asisi, initiated by the architect Bernhard Strecker. Hints on these wall segments in Vatican Gardens were also given by Paul Hofmann in 1997. Often, it is said that St. John Paul II was the man who took down the Berlin wall by his early support of the labor movement of "Solidarność" in Poland. But for doing so, he needed a theological base. That was offered by Card. Joseph Ratzinger as the head of the Congregation of faith in 1984 in his IV,15, In the 1970’s, the catholic church was divided: on the one hand we had the movement of the extreme conservative Mgrs Lefèvre in France, on the other hand a very fast upcoming and popular movement in Latin America with the Theology of liberation with among them Sandinista priests-politicians, Gutierrez, Boff, Kung and many more. Karl Marx and his theory of the battle between classes was applied in the religious field. People should stand up against injustice, even if it was needed to use violence. Were there not enough examples in the bible ? Moses and many others? But the use of violence against the usurper is against Catholic faith. The Roman catholic church was risking a new schisms, were Latin America could walk out of the Church. There was a growing risk that it could erupt in violence battle between the poor people in Latin America and the ruling class. It is not the farmer who produces drugs in Colombia for the Medellin-cartel who is the sinner, but the structure: the drug cartel with a.e. Pablo Escobar, that forced the farmer to cultivate drugs and nothing else and keep in that way those farmers in slavery. The answer of the church came in by Card. 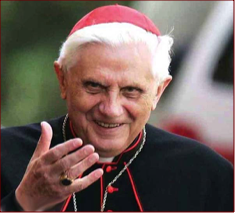 Ratzinger by enlarging the concept of sin. Following the tradition of Saint Paul and Saint Augustine, sin is a personal matter. Now, also a structure can be sinful. This position that a structure can be sinful, made it possible for Pope John Paul II to encounter Gorbatjov in the Vatican, telling him that he was a good man, but the structure that he represented - communism - was evil. I would say, that was the first stone that came out of the Berlin Wall, and it’s deconstruction began only a few years later: November 9, 1989 (built August 13,1961)So, I believe, Cardinal Ratzinger took out the first stone of the Wall !!! What follows is an extraction of the Instruction of Card. Ratzinger in 1984. IV,14. Consequently, the full ambit of sin, whose first effect is to introduce disorder into the relationship between God and man, cannot be restricted to "social sin." The truth is that only a correct doctrine of sin will permit us to insist on the gravity of its social effects. IV,15. Nor can one localize evil principally or uniquely in bad social, political, or economic "structures" as though all other evils came from them so that the creation of the "new man" would depend on the establishment of different economic and socio- political structures. To be sure, there are structures which are evil and which cause evil and which we must have the courage to change. Structures, whether they are good or bad, are the result of man's actions and so are consequences more than causes. The root of evil, then, lies in free and responsible persons who have to be converted by the grace of Jesus Christ in order to live and act as new creatures in the love of neighbor and in the effective search for justice, self-control, and the exercise of virtue. I,4. Consequently mankind will no longer passively submit to crushing poverty with its effects of death, disease, and decline. He resents this misery as an intolerable violation of his native dignity. Many factors, and among them certainly the leaven of the Gospel, have contributed to an awakening of the consciousness of the oppressed. I,5. It is widely known, even in still illiterate sections of the world, that, thanks to the amazing advances in science and technology, mankind, still growing in numbers, is capable of assuring each human being the minimum of goods required by his dignity as a person. VI,4. To some it even seems that the necessary struggle for human justice and freedom in the economic and political sense constitutes the whole essence of salvation. For them, the Gospel is reduced to a purely earthly gospel. VI,5. The different theologies of liberation are situated between the 'preferential option for the poor', forcefully reaffirmed without ambiguity after Medellin at the Conference of 'Puebla'  on the one hand, and the temptation to reduce the Gospel to an earthly gospel on the other. VII,8. 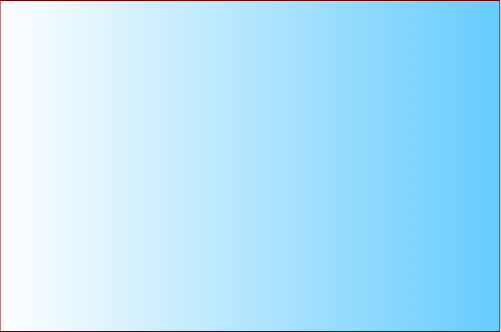 It is true that Marxist thought ever since its origins, and even more so lately, has become divided and has given birth to various currents which diverge significantly from each other. To the extent that they remain fully Marxist, these currents continue to be based on certain fundamental tenets which are not compatible with the Christian conception of humanity and society. In this context, certain formulas are not neutral, but keep the meaning they had in the original Marxist doctrine. This is the case with the "class-struggle." Originally, it made the 8th hill of Rome, but was outside the boundaries of the old roman city. Agrippina had a villa on this site, and Caligola built a circus. This was increased by Nero. It was in this circus that we had the first persecutions between 64-67 AD. Outside the circus was a cemetery were saint Peter was buried; the Popes started the lay-out of the gardens after their return of Avignon in 1378. 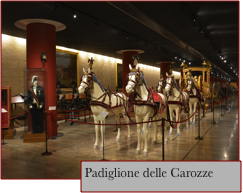 This brings us to the Paolin Museum, originated by Paulus VI in 1965, when the collection of Saint John in Lateran was transferred to the Vatican City. Through the glass we can admire the beautiful mosaics coming from the baths of Caracalla. This museum consists of three parts: 1. Pius Christian Museum; 2. 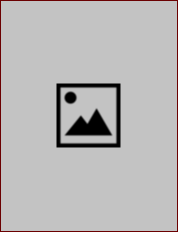 The Profane Museum and 3. the Missionary and ethnological museum. After this brief introduction, we entering the proper gardens. Those are divided in three parts, as we will see in successive order. On the left we see (and only one wall is left) a square “secret garden” called “The Square Garden” (today guides are explaining the Sistine Chapel here). 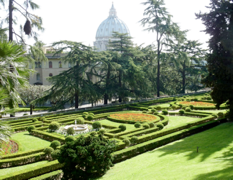 This secret garden was build by Paulus III, Farnese (1534) and was used for private walks. You can now enjoy these gorgeous flowers in your northern home. Sensational winter hardy variety of a tropical favorite. Huge, exotic flowers up to 8" across. Blooms mid summer to frost with up to 50 flowers on a single plant. Easy to grow, needs little care. Full foliage shrub-like plants 4-8' tall. Plant 2-3' apart in full to partial sun. Deer resistant. Strong, field-grown plants shipped. Mixed colors only: Red, pink, white, maroon and salmon. In the alley that runs along the secret garden and below the English garden, we will find a beautiful flower: the giant perennial hibiscus. Walking in the English garden, that looks more like a forest of Robin Hood -a wild garden-is a really pleasant walk. Everywhere are emerging small and large fountains, bringing water in from the Aqueduct of Trajan, nice fresh water from the lake Braciano- as was agreed in the Lateran Pacts of 1929 in art.6 (later arrived a dispute as what to do with the waste water ! Can it go to Italy, another country?) A wild flower, very common in Rome is the acanthus is everywhere present. Is it a really strange plant: It flowers in early spring and soon after dies when the whole nature start to come alive. On the root, a little leave will wait, and when nature is going to it’s winter-sleep (January-February), the acanthus starts to grow. 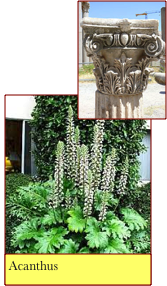 Therefore the acanthus became for the Greek the symbol of eternal life, and was used as model for the Corinthian columns. On the little lanes in the little english forest we find lovely roman statues and ancient artifacts. They are fitting extremely well in this surroundings of the forest. Trees, plants and shrubs in their natural state, as it would have looked in the open country. Therefore it’s called “Il Boschetto”, the little forest. 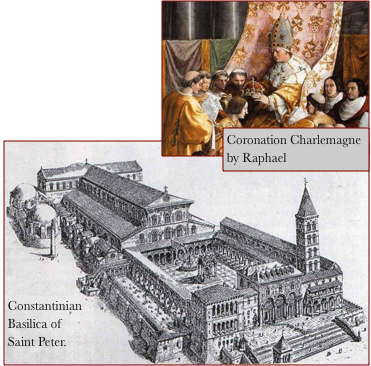 On Christmas 800, in the old Saint Peter’s Basilica, Charlemagne was coronated. There are a few testimonies of the ceremony. The first one by Eginhard, The life of Charlemagne, 28, (the author is also know under the name Einhard) The way it is written is similar to the style of the (gossip) writer Suetonius, who described the life of the Caesars, and how a good ruler should be reluctant for receiving the crown. You should at least say twice that you are not worthy for receiving the crown and then … humble accepting it. 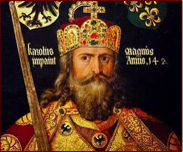 In the version of Einhard, it looks that Charlemagne was unaware of the fact that Pope Leo III wanted to coronate him. This version gets contradicted by The Annals of Lars or Annales laureshamenses, a second source of his coronation. Towards the end of the English garden, we see the first wall of the Vatican City. This wall was already there when Charlemagne was coronated on Christmas Day 800 by pope Leo III in the old Basilica Saint Peter. That night, the church must have looked incredible. Only a few years earlier, pope Hadrian I had put expensive decorations in the Basilica built by Constantine. In 846, a few years after the saracen invasion of Sicily, the muslim jihad moved towards Rome. Their incursions in the earlier years in the East Roman Empire were more raids in order to find spoilage, than a proper conquest. However is was extremely bloody. Every Christian on their way was killed. Whatever was outside the walls of the City, was heavily damaged, including the old Saint Peter’s Basilica and Saint Paul outside the walls. Pope Leo XIII wanted a vineyard over here, but wasn’t very successful. In this tower the popes were prisoners after the unification of Italy in 1870 until the Pacts of St. John in Lateran. A little chapel of Our Lady with child was built in order for protecting the Popes during their captivity in prison in the tower …The little shrine is also called La Madonna della Guardia, a gift of Genova to pope Benedict XV, who originated from that city. 1870, Rome became the capital of the united Italy. The Pope, after ruling for over 1100 years (from 756 AD-1870) over the pontifical states was loosing day after day more of his territory. On the street walls arrived graffiti/comments of Pasquino, the most (in)famous talking statue of Rome, that the new police forces cancelled without understanding the meaning of it: “NON PIOVE” (IT DOESN’T RAIN). The real way to read was: “NON PIO (IX), (But) V(ittorio) E(manuele) (King)! !” Six hours on September 20, 1870 were enough to break the wall of Porta Pia and marked the beginning of the pope as prisoner. 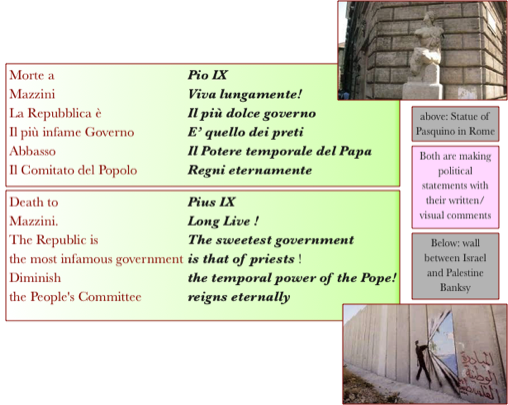 There are two ways to read the following commentary of the feelings of the romans by the talking statue Pasquino: Or you read it vertically (against the new government) or … horizontally (against the temporal power of Pope Pius IX !) You can compare those political comments on the street with the visual works of Banksy today !!! 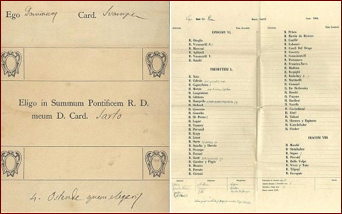 Five popes would be prisoner in the Vatican: Pius IX (until 1878), Leo XIII (until 1903), Pius X (until 1914), Benedict XV (until 1922) and Pius XI until the Concordat or Pacts of Saint John in Lateran with Mussolini on February 11, 1929. Behind the wall was the “summer-residence” of the popes when they were prisoner of the Vatican city in the 19th Century: from 1870 until 11 february 1929. It was called the period of the “Roman Issue”. After 1870 the Holy Father became a self-declared prisoner of the Pontifical Palace. Even the balcony of the Saint Peter’s Basilica was out of use, being occupied by the new government. Nonetheless, the Romans approved the courage of Pope Pius IX in his resistance to the new government by saying: Pio Nono, sei buono, Ma-Stai !! (Pius IX, You are [a] good [man], but [please] stay [put]. This was of course a game of words with his last name: “Mastai”. The pope, being prisoner in the Vatican City called it his “little Castel Gandolfo”. An other saying was (in Italian): “Per mantenere la fede ha perso la Sede” , translated: “By maintaining his faith, he lost his seat”! What the Holy Father for sure missed the most, was his excellent white wine of Frascati. So, he decided to create a small vineyard just outside the entrance of the French garden. The was called “ Vignaccio” … translated: “Vinegar” !!! It was for sure not a “Chateau Neuf du Pape” ! And so, after 1100 years the pope lost his temporal power. It is to be said that in the last years of it’s existence, the Pontifical States had lost the train of the industrial revolution and was far behind a combination of industrial powers of the north of Italy and the rest of northern Europe. The final blow was given when the French troops, who protected the Pontifical States eventually withdrew in 1870 during the Franco-Prussian War. Italian troops entered Rome on September 20, 1870; after a plebiscite in October of that year, it became the capital of Italy. The Papal States had finally come to an end. It is be said, sometimes, the Providence is working in very mysterious ways. 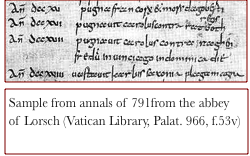 The “Roman Issue”, when the popes were seen as a prisoner of the Vatican is often seen as a black page in the history. The liberals in Europe taught it as the end of the influence of the Church over the common people. But, the Popes, finally released from the burden to govern like a king, could concentrate themselves more on spiritual matters. And so, ay after day, the moral authority of the popes increased. 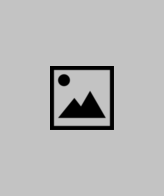 What follows is an extract of the Vatican Council I about the dogma. ▪ that infallibility which the divine Redeemer willed his church to enjoy in defining doctrine concerning faith or morals. Therefore, such definitions of the Roman pontiff are of themselves, and not by the consent of the church, irreformable. Leo XIII (1878-1903): Encyclical Rerum Novarum May 15,1891, Leo XIII is known for his social reforms and his recognition of the rights of the worker. During his reign the Roman Catholic Church achieved an international prestige it had not enjoyed since the Middle Ages. In those years their were no Catholic political parties in Europe. All over Europe we had anti-clerical anti-papal and anti-Church movements (remember the Kulturkampf of Bismarck and of the liberal new founded states in Europe: Belgium, France, Netherlands). But the raise of the Socialists movements made those liberal governments seeking support from the Church. How those feelings against the upcoming socialist movements was, is perfectly portrayed in the 1963 movie of Visconti: The Leopard. (IL Gattopardo): the battle and tensions of the working class against the nouveau-riche and the liberals. In Rerum Novarum, Pope Leo XIII demanded for the working class minimum wages and more social reforms such as the right of private property, an approval of labor unions and cooperative organizations. Most of his reforms were focused on the spirituality of the Catholic Church itself. You can compare the reforms he brought within the Catholic Church with the great reform of the Council of Trent. 2. E Supremi apostolatus (1903) was his reform plan for seminaries in order “forming the clergy to holiness. Further the formation should have a philosophic Thomistic base followed by study of the Bible. 5. He instituted reforms in the congregations, tribunals, and offices of the Curia through his Apostolic Constitution Sapienti Consilio (1908). 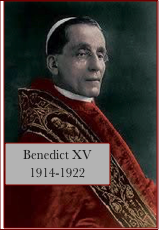 Benedict XV (1914-1922): A pope for peace ! 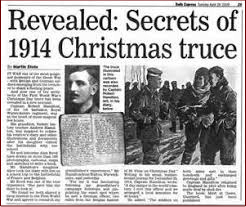 On December 7, 1914, in the first year of WW I, Pope Benedict XV suggested a temporary cease-fire for the celebration of Christmas. The warring countries refused to create any official cease-fire, but on Christmas the soldiers in the trenches declared their own unofficial truce. His words were: "that the guns may fall silent at least upon the night the angels sang."